Just a quick thought of mine…. 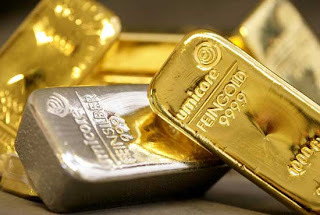 I’m still a strong advocate for introducing commodity indices to your portfolio in the coming years ahead…in addition to allocating at least 5-10% of your wealth to physical commodities (i.e., gold and silver coins) to have in your possession just in case. The way the Feds are debasing our currency is detrimental to our financial well-being long term. What I find interesting is during the down-turn we have several individuals rushing to the “safety” of higher education..... Most of these students are a direct product of the recession, meaning they’ve been laid off, or they’re underemployed and need to increase their skills in hopes of making more money. Unfortunately, these individuals are also desperate for loans to fund their educational aspirations – even at a time when tuition is steadily increasing at twice the rate of inflation. People considering taking out a loan for higher education should ask these questions: Is it worth going to college if I have to take out a large amount of student loans – at a time when unemployment is high? What is the likelihood that I’ll graduate with a job in hand? Are these jobs being currently offered in my city or state? Will I have to move to the city or state offering the jobs? What other alternatives are there besides taking on debt that I’ll have to repay back? There’s nothing worse to a country and a community that has college graduates who can’t find a job – therefore, becoming somewhat unemployable as their skill set wanes. We just got out of the mortgage mess that was a result of failures within the private and public sectors and also the Feds guaranteeing every mortgage signed over to some people that should’ve never been anywhere near a house in the first place. Remember when government sponsored entities (GSE) like Fannie Mae and Freddie Mac failed the American people and needed to be bailed out??? I can see the potential for this to also happen in the educational industry – where you have several individuals seeking education and need loans for education and once again, another GSE called Sallie Mae (although they claim to be a private enterprise now) is in place buying up all of the student loans out there. Sallie Mae just purchased $27Billion of Federal student loans from Citigroup in 2010. Déjà vu?